As an ongoing process of upgrading the place, the latest target is the Lazy Portfolios section. 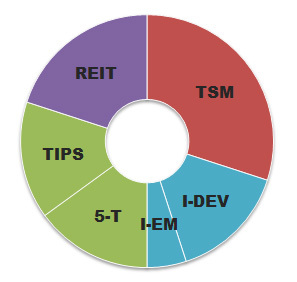 For portfolio explorers, asset allocations have been clarified and are simpler to browse. Note that the assets are color coded by asset class: red for US stocks, blue for international stocks, green for bonds, and purple for everything else. There’s also more detailed info on each page if the abbreviations aren’t clear. For those who find something they like and are looking for a deep dive, more information on source materials for the various portfolios has been included. I’ve also made some effort to clarify a few portfolio details based on reader feedback. If you spot anything you think I’ve misrepresented, please let me know. The charts have also been updated, with a few fun new features. 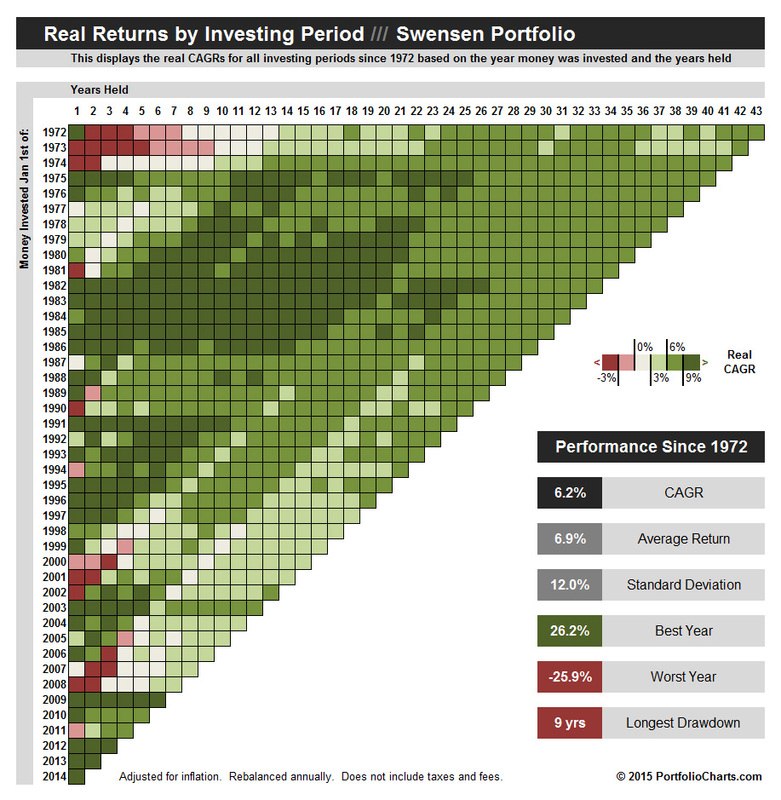 The fact sheet added to the Pixel chart now includes helpful info such as how the long-term CAGR compares to the average return (FYI: volatility has a measurable drag on returns), the best and worst individual years, and the longest drawdown. Many people will probably be surprised to learn, for example, that the total stock market has suffered an extended down period in the past that lasted a full 13 years until an investor finally broke even in inflation-adjusted terms. Long-term patience is a great investing mindset, but it’s also helpful to quantify what long-term really means for those who aren’t expecting that kind of wait. The next goal is to add a few more Lazy Portfolios to the summaries. If you have any special requests, I’m always open to suggestions.